Developing a molecular diagnostic? Request a free consultation. LGC Biosearch Technologies’ GMP and Commercial Services supplies business at all stages of product development, from design through commercialization. 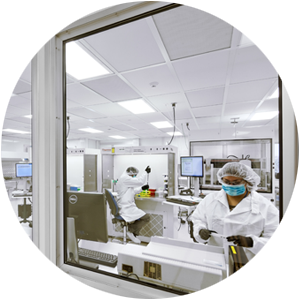 As a leader in custom oligo design and manufacturing for the in vitro diagnostics, research and applied marketing, LGC Biosearch has vertically-integrated, global manufacturing to support supply-chain continuity. We look forward to hearing more about your project! Please fill out the form below and a representative will contact you shortly. How many different oligos do you need on an annual basis?